A new pay offer for Scottish council workers looks set to be rejected with both Unison and the GMB unions urging their members to turn it down. The revised offer is worth 3% for all council staff on salaries of less than £80,000 per year. An earlier offer was worth less to better-paid workers, with those earning more than £36,500 receiving a 2% rise. Unison's local government committee met today to discuss how to respond to the latest offer. Carol Ball, vice chair of Unison local government committee said: "Unison has worked hard to get where we are, but this revised offer does very little for the lowest paid workers like care workers and support for learning assistants. "These workers rightly feel they have taken the brunt of austerity over the last 10 years, with pay cuts and job losses." She said the union would continue to campaign on the issue and added: "A decade of pay cuts has left local government workers very angry. "In the end our members make the decision and we will be balloting them to ask what they want to do." The other union, the GMB, said it would also urge members to reject the offer. 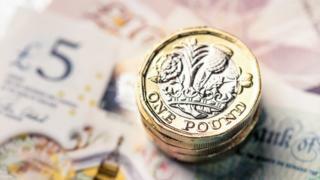 Cosla's resources spokeswoman, Gail MacGregor, said the organisation's policy on pay parity meant they had to be fair to the whole workforce. She said: "That is why the same improved offer has been made to all four of the bargaining groups we are in discussions with." She said that the lowest-paid council staff had seen their pay rise up to 35.73% over the past seven years. She added: "We have, for a number of years, now targeted more of the pay resource at the bottom end of the pay scales by consistently applying (or bettering), the living wage.